A legal requirement for any worker required to remove more than 10m² of non-friable asbestos. Get both! Class A and Class B combined course. Students who are deemed competent will receive a Statement of Attainment recognised under the Australian Qualifications Framework. This certification is nationally recognised. This statement is issued by Pinnacle Safety and Training (RTO 40496). This certification enables commercial operators to apply to the relevant State Authority for a Class B (non-friable) asbestos removal licence. 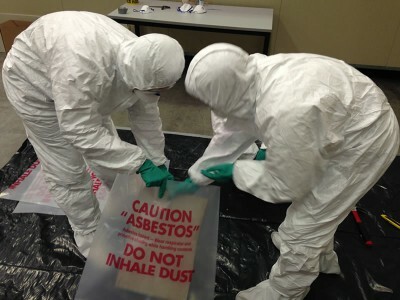 We are a SafeWork NSW Approved Training Provider for CPCCDE3014A Remove non-friable asbestos (Class B). For more information, see below. Current special price of $259.00 pp for public courses! 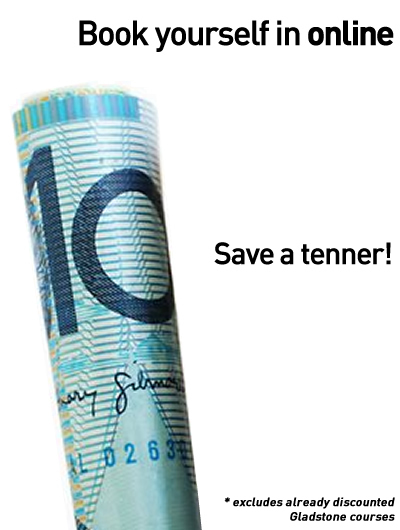 Book online and save $10.00! When asbestos containing materials (ACM) are present, or even suspected of being present in the workplace, only qualified personnel are permitted to safely manage or remove it. 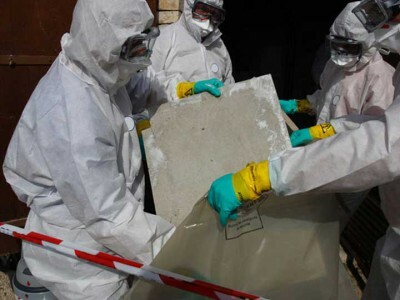 Any worker removing more than 10m² of non-friable (also known as ‘bonded’) asbestos must be appropriately trained, as outlined in the Work Health & Safety Regulation 2011 and the Code of Practice for the Safe Removal of Asbestos. Non-friable asbestos materials include asbestos cement sheeting, often called fibro, used in many buildings before 1990. The sheeting was used for cladding, roofs and fences and can often be found as backing boards in wet areas like kitchens and bathrooms. 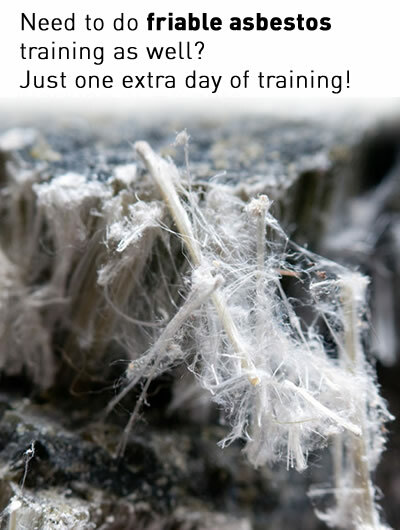 This course is a legal requirement for workers who need to remove more than 10m² of non-friable asbestos. Please note: Pinnacle Safety and Training will not use any asbestos containing material during this training program. Tradespeople, contractors and other business operators: Commercial operators can remove more than 10m² of non-friable asbestos only under the authority of a Class B (non-friable) or Class A (friable) asbestos removal licence issued by the State Authority. As an employed worker, you need to do this course, but do not need a Class A or B licence yourself if you are working under the authority of a licenced operator (e.g. the company or supervisor). New South Wales - Doing this course is required before applying for a Class B licence. You will also need to nominate a supervisor who has 12 months industry experience in non-friable asbestos removal. If you possess 12 months experience, you may nominate yourself as the supervisor once you have completed our Supervise Asbestos Removal course. For more information and details of how to apply for a licence, please visit SafeWork NSW. Homeowners in New South Wales: If removing more than 10m² of non-friable asbestos a licenced asbestos removalist must be engaged. 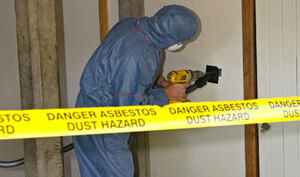 Removal of 10m² or less of non-friable asbestos may be undertaken without a licence. However, given the risks involved, council encourages residents to consider engaging a licensed asbestos removal contractor. 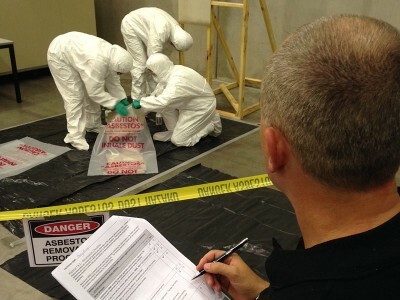 Our nationally recognised remove non-friable asbestos course is designed for anyone who may be required to manage or remove asbestos in Australia. This training course is taught by experienced instructors who will outline theory and practical scenarios that are relevant to your work site. 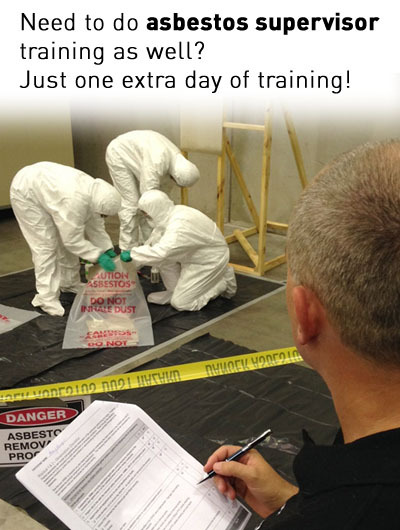 This training course is very hands on with at least 50% of the time allotted to the practical aspects of operating in an asbestos worksite. Having done hundreds of training courses across numerous fields, Raymond would be one of the best trainers I have ever have the pleasure of learning from. This trainer is one of your best assets and I trust that you realise this. I have no hesitation in using your firm for all our training needs in the future and would like to have Raymond as the trainer where possible. Many thanks Raymond, keep up the excellent work!